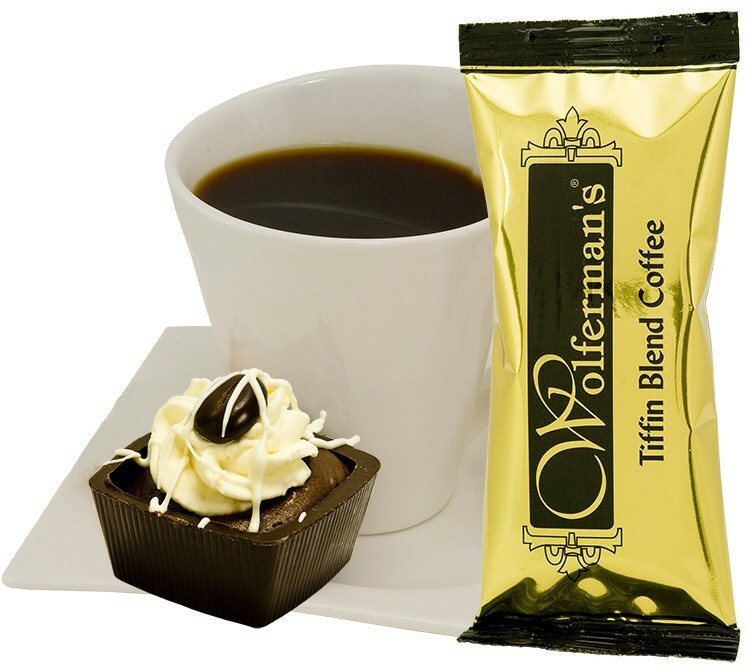 This 1.5oz Arabica coffee bag fit inside a mug and brews one pot (10-12 cups) of fresh roasted gourmet coffee. Great for complex graphics - prints directly on front & rear wrapper. Pricing includes one spot color on silver foil packaging. Best suited for dark or bold colors. Light colors are not visible on the silver packaging. Flavors available: Double French Vanilla, Hazelnut and Cinnamon Crumb Cake. Add .10(G) for flavors. Perfect for individual coffee, logo coffee, coffee pack, corporate gifts, coffee gifts, single serving, coffee packet, full pot, coffee gift, coffee packs, coffee pouch, client gift, corporate coffee gifts, product launches, marketing tie-ins. Approx. 2 5/8" x 6 3/8"
Prices below include (1) spot color printing.